Bearded Dragons are part of the Pogona genus of reptiles containing eight species, which are often known by the common name bearded dragons. The term "Bearded Dragon" is most commonly used to describe the central bearded dragon, (Pogona vitticeps). The name "bearded dragon" refers to the "beard" of the lizard, the underside of the throat which turns black if they are stressed or see a potential rival. Members of this genus live in the arid, rocky, semi desert regions and dry open woodlands of Australia.They are adept climbers, spending time on branches and in bushes and near human habitation. 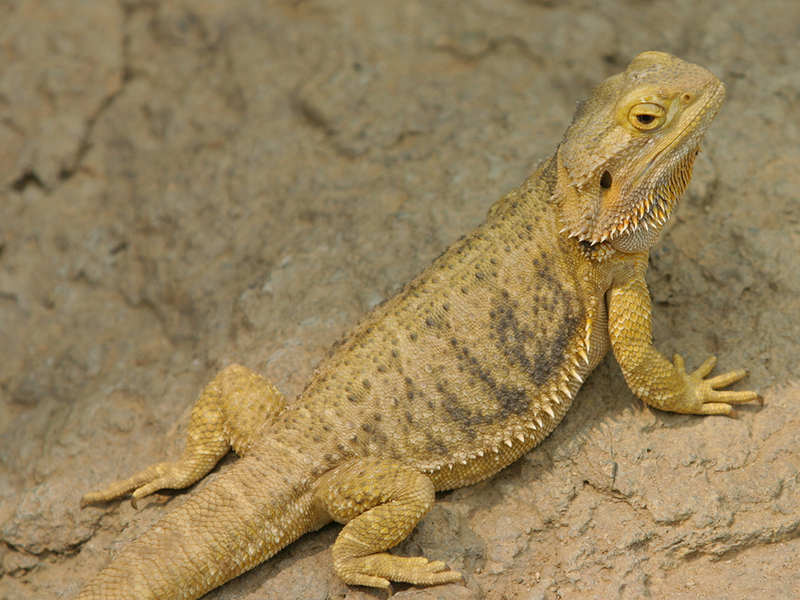 Pogona species bask on rocks and exposed branches in the mornings and afternoons. The genus is in the subfamily Agaminae of the family Agamidae. Part of the Lizard family, their characteristics include broad, triangular heads and flattened bodies with spiny scales arranged in rows and clusters. These are found on the throat, which can be expanded when threatened, and at the back of the head. These spiny scales are used to scare off predators, yet they are not very sharp. Bearded dragons display a hand-waving gesture to show submission, and a head-bobbing display to show dominance between dragons. They have the ability to change colour during rivalry challenges between males, in response to ambient temperature changes such as turning black to absorb heat, and other stimuli. Bearded dragons --most commonly, the inland or central bearded dragon are kept as pets they are a popular exotic species pet. They are a popular species among children because of their friendly and calm nature, and the relative ease of caring for them. Generally speaking the bearded dragon is a solitary animal but sometimes female dragons of similar size will often happily live together. 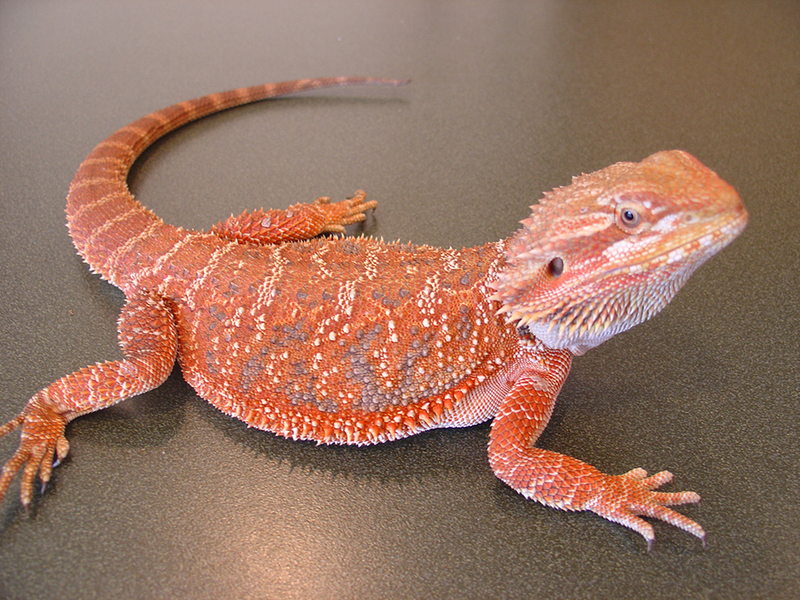 Male bearded dragons are usually housed alone, as they will fight with other males and breed with females. Captive adults reach about 42 to 61 cm (16 to 24 in) from head to tail and live for up to 12 years with good care. Captive adult bearded dragon's diet typically consists mostly of leafy greens, vegetables and non-citrus fruits, supplemented regularly with insects. 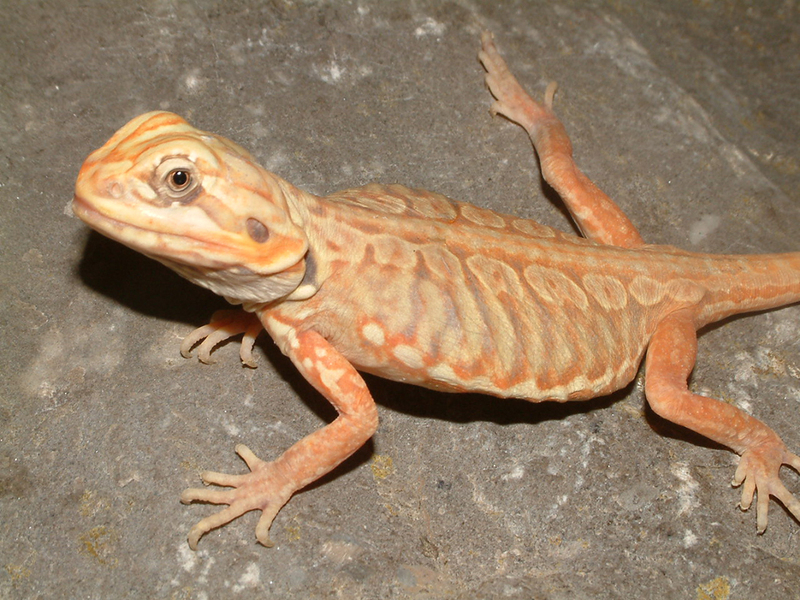 Juvenile and baby bearded dragon diets consist mainly of insects. Crickets, Black soldier fly larvae, locusts, superworms, waxworms, silkworms, butterworms, grasshoppers, hornworms, and even some varieties of roaches are all popular foods. Although Bearded Dragons do now come in many shapes, sizes and colours the 'Normal' bearded dragon still remains the most popular, especially as a 1st lizard. 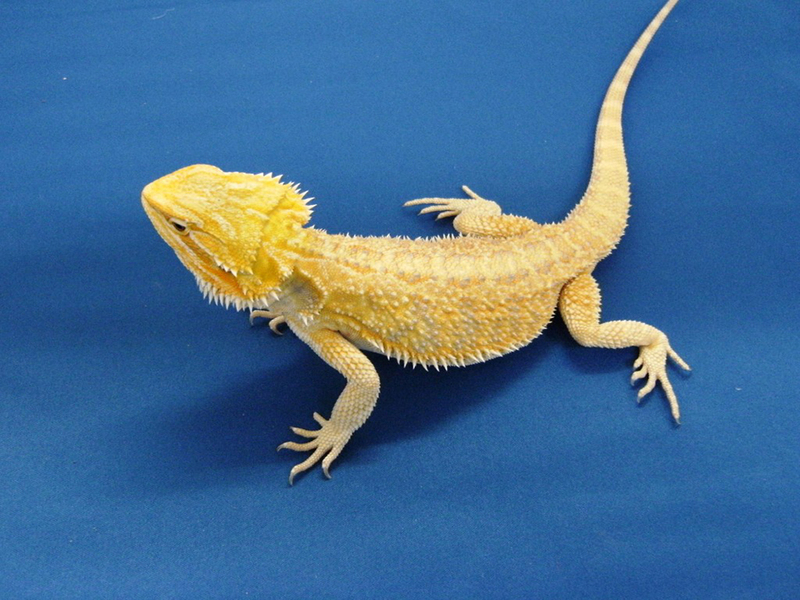 Below are some pictures of different morphs of Bearded Dragon. Click HERE for a Bearded Dragon care sheet.